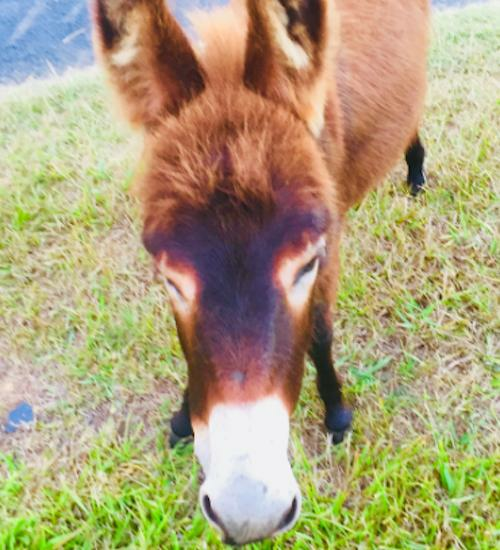 Bully the donkey may be a social media sensation but he's also accidentally becoming an integral part of Kim Waugh's stable. 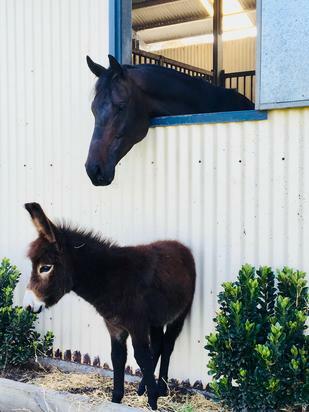 You often hear stories of racehorses having unusual companions and while young Bully has thrust himself upon his thoroughbred stablemates he's been a welcome addition. 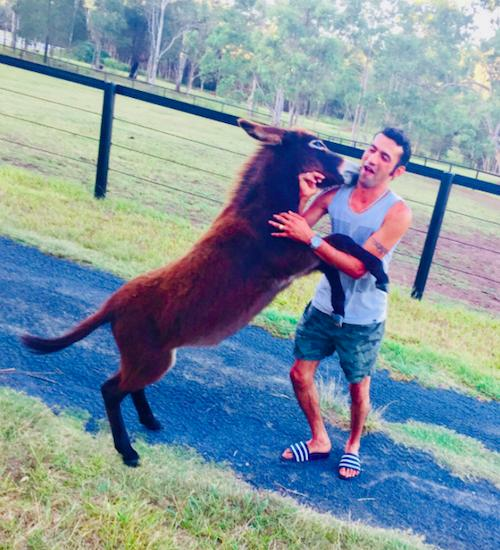 "Everyone loves the donkey, he's so cheeky,'' Waugh said. "He follows everyone around, bites people on the bum and has everyone in stitches. "The horses really like playing with him. 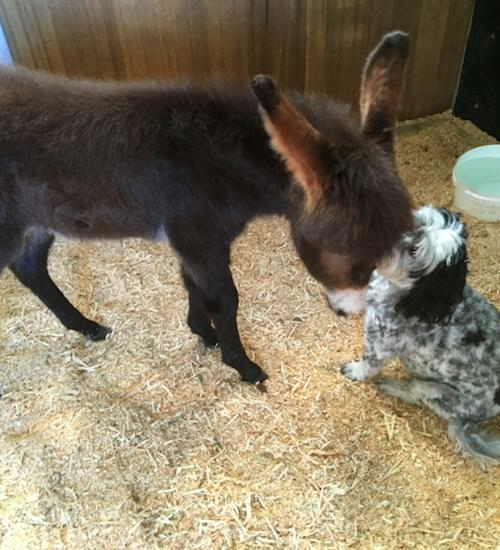 He gallops through the barn and they don't even care, they are fascinated by him." Bully - so named because he likes to be the boss - hasn't reached raceday companion status yet, though does sleep in a stable, so he won't pop up at Wyong on Wednesday when Waugh takes the unraced BOCA GRANDE and new acquisition HAND FROM ABOVE to the track for the first time. 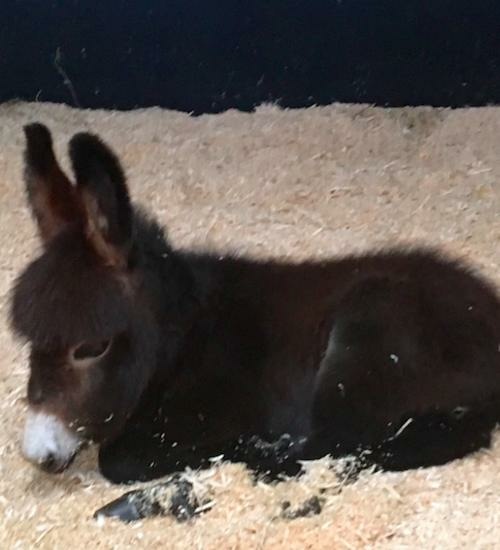 The story of the plucky donkey, who was eight days old when rejected by his mother, has captivated social media since Waugh introduced him early in October. She said she didn't think twice about trying to save him when he was discovered and even committed to feeding him every four hours. "I'm a crazy mad animal lover," she said. "It was all by accident it all happened, he wasn't very well at all and we didn't really know if he would make it because he was quite weak." As the videos of Bully galloping around Waugh's property and invading the house illustrate he's thriving and has quickly taken to his second chance at life. And it seems his fame has spread quickly too - as Mark Waugh found out when the Ashes series kicked off. "Everyone loves animal photos, and we love Bully and found him so cute, so we put him on (social media) not really knowing what would happen," she said. "When Mark was at the first test in Brisbane he came home and said 'Bully's famous'. "The cricketers and their wives were asking how he was, everyone knows him."